This post won’t make much sense on its own, as it’s about a specific part of the Internationale Bauaustellung (IBA) Berlin 1987, for an explanation of which, go here. Sadly, the leading figure behind the Altbau half of the IBA, Hardt-Waltherr Hämer, died in 2012. Much like the Neubau projects page, I’m attempting to (rather slowly) collate a list of IBA Altbau projects, migrating any projects from the other IBA main page. Also, have started a Flickr group here, should anyone want to add images. Block 70 – Usually known as ‘Apartment buildings on Fraenkelufer’. Seemingly the best known of the IBA Altbau projects, judging by the number of page hits. By Hinrich and Inker Baller – see page here. Further, much commentary on the northern parts of the block (as well as the Beginenhof) are here. Finally, Wohnregal – a self-build project in the same block. A substantial amount of new construction integrated into a triangular block. The enclosed Hof space is the real strength, as ever. Page, including images, here. Notable for the ingenious integration of a school into exiting and new elements, brief page here. 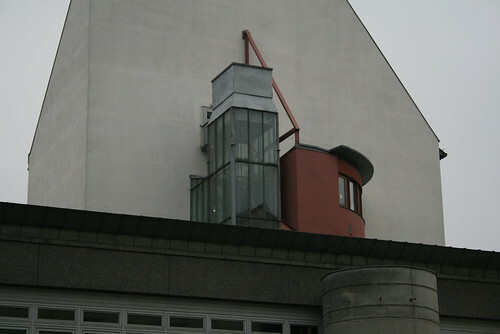 Apartment block, known as ‘Bonjour Tristesse’, by Alvaro Siza, Schlesische Strasse 1-8, Kreuzberg, 1982-1983. Post here, and an afterthought about the treatment of another part of Siza’s work on the block round the corner. 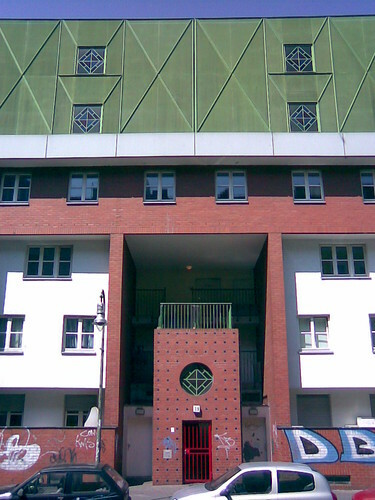 Housing for the Elderly, Köpenicker Strasse 190-193. By Steidle & Partner (Roland Sommer, Otto Steidle, Siegwart Geiger, Peter Boehm). Post is here, but woefully short – given my current research (at 2017) need to be getting back here. (Also, the term ‘the elderly’ is rather dated, isn’t it? ).